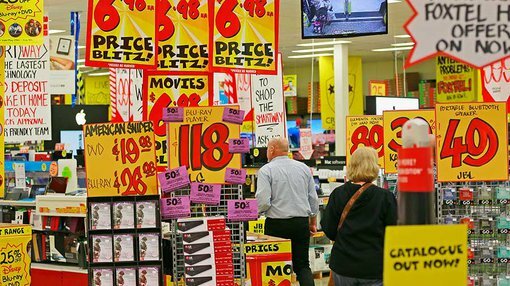 Electronics, home entertainment and white goods retailer, JB Hi-Fi (ASX: JBH) has delivered an impressive result for the six months to December 31, 2016 exceeding the expectations of most analysts with an underlying net profit of $125.4 million from sales of $2.6 billion. Management declared an interim dividend of 72 cents per share (up 14.3% on the previous corresponding period), also ahead of analyst’s expectations, and suggesting Bell Potter’s full-year dividend estimate of $1.17 may be conservative. The strong performance was driven by robust sales growth of 23.6%. Importantly, like-for-like sales growth in Australia was a strong 8.7%. Management cited key growth categories as being communications, audio, cameras, computers and home appliances. JBH remains a store expansion and transition strategy. The company had a total of 302 stores in Australia and New Zealand as at December 31, 2016. In Australia, four new JB Hi-Fi HOME and small appliances were introduced to a further 17 existing JBH stores in the first half. The group’s entry into the white goods sector has been well managed and will continue to be a growth driver as further stores are converted to HOME stores. In the second half of fiscal 2017 JBH will benefit from a full six month contribution from The Good Guys acquisition which was completed on November 28, 2016. JBH chief executive, Richard Murray said, “We a pleased with the group’s results for the half, having successfully completed our acquisition of The Good Guys, and the group is well positioned to build on its solid momentum into the second half”. This positive sentiment is reflected in the group’s outlook statement which points to an underlying net profit of between $200 million and $206 million (up circa 35% on the previous corresponding period) from sales of nearly $5.6 billion. This compares with Bell Potter’s pre-result full-year underlying net profit and sales estimates of $194.5 million and $5.5 billion respectively.